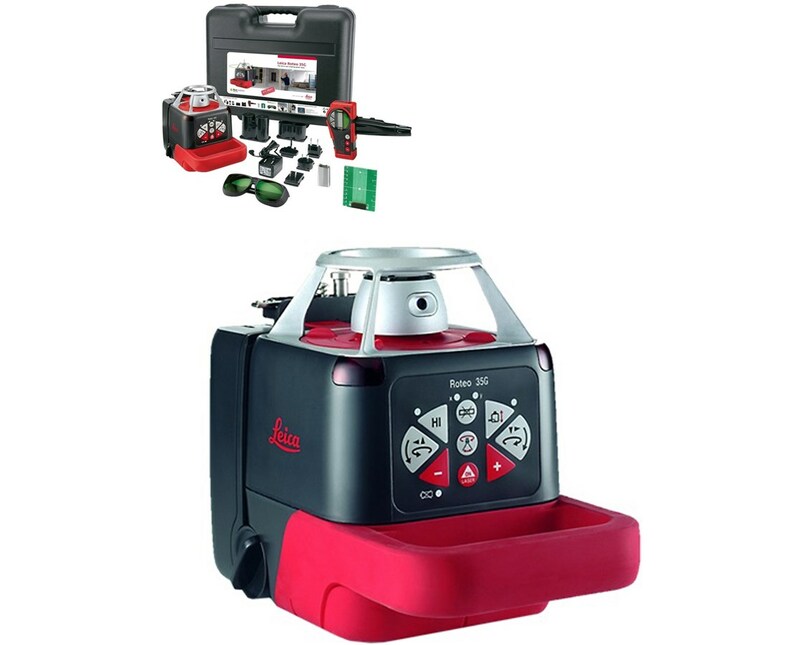 Having a range of up to 500 feet with a laser receiver, the Leica Roteo 35G Green Rotary Laser is perfect for indoor and outdoor applications including laying paving, leveling double floors, positioning drywall components and the like. 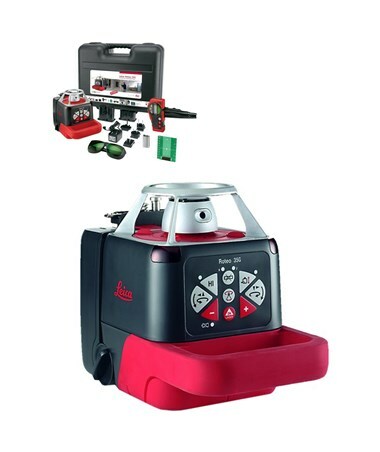 The 35G is self-leveling within ±4.5 degrees and provides an accuracy of ±1/8-inch at 100 feet. Aside from the 90-degree plumb beam used for right angles, it is fully automatic with both a horizontal and vertical laser beams. 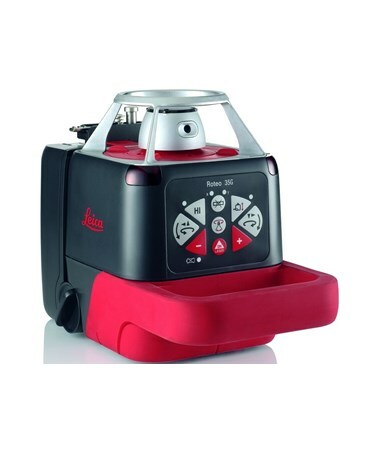 The Leica Roteo 35G features five rotational speeds, 0, 150, 300, 450 and 600 rotations per minute. 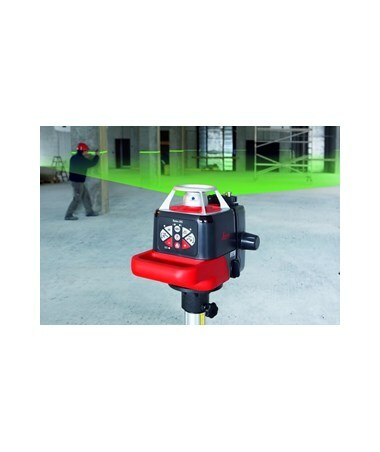 It also offers variable scan angles of two and 36 degrees. 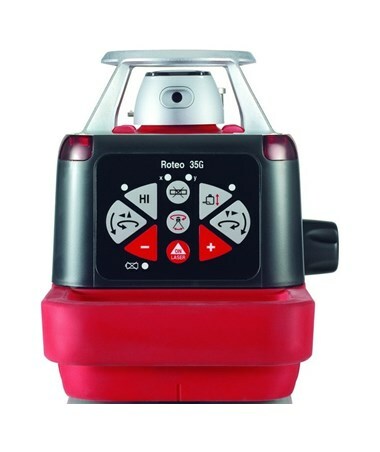 This Roteo rotating laser uses a motorized wall mount that allows convenient control of the laser beam height by the use of the RRC350G laser receiver and remote control. Plus, it comes with a scan mode that improves visibility for certain types of work. For a higher visibility, the 35G comes with a green laser. Constructed with a strong aluminum cage, the laser head is protected from damage. 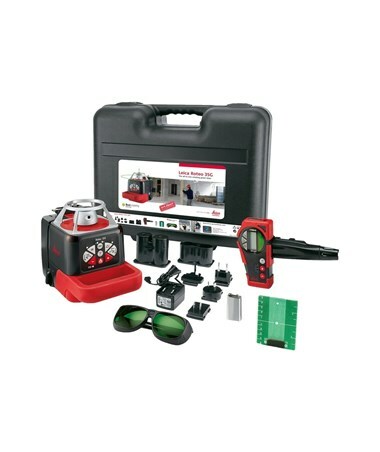 This Leica rotary laser is dustproof and water resistant under the IP54 environmental rating. Also, it can operate up to 25 hours with NiMH batteries and 40 hours with alkaline batteries. As an additional feature, it comes with a 5/8-11 thread for an easy tripod installation.